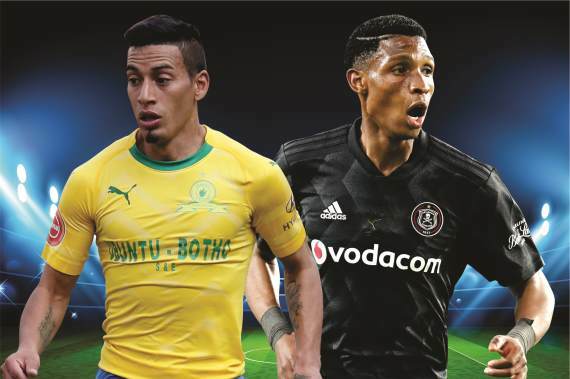 Two great teams who are known for exhibiting high-class, expansive football do battle this weekend as Mamelodi Sundowns host Orlando Pirates in what is expected to be a pulsating encounter. The hosts are the only unbeaten team in the league so far this season and their “piano and shoe-shine” will be tested by the visitors’ “juego de posicion” peppered with ‘kasi flavour’. I like to call this match between the only two South African teams to win the CAF Champions League “the Star Derby”. It’s interesting to note that each of the last 10 games between these two sides has produced two or more goals and I can put my head on the block right now and say this encounter will be no exception, but, who will reign supreme? The Brazilians are six points off the pace having played two games less than top-placed Bidvest Wits and three less than second-placed Orlando Pirates who they are facing. They might have been superb in the league, but they haven’t really done well in cup competitions as they’ve been knocked out of all of them. Baroka shocked Masandawana 2-0 last week to eliminated them from the Telkom Knockout. Before this game, Sundowns, who have a lot of catching up to do, play Free State Stars and that might be a bit of a distraction. If they manage a victory over Ea Lla Koto, they’ll only be two points behind Pirates and that could make this clash even more enticing. Pitso Mosimane’s men have failed to find the back of the net more than once in each of their last five games but we know that when they play against Pirates it’s a different ball game. Both teams play attacking football which results into a lot of goals being scored. Mosimane will be sweating over the fitness of Denis Onyango and Hlompho Kekana who were clearly missed in the defeat to Baroka. Sibusiso Vilakazi will not be available for selection as he’s nursing an injury that is expected to sideline him for the better part of the season. Despite his off-the-field scandals, Andile Jali, who recently appeared in court, did make an appearance against Baroka. He is expected to play a key role in his team’s plan to overcome his former employers. The last time these sides met at Loftus Versfeld, it was the mighty Buccaneers who emerged 3-1 victors. Pirates head into this one knowing that they can’t afford to lose ground on top-placed Bidvest Wits and let Sundowns get anywhere near them on the log. The Sea Robbers are unbeaten in the last nine games across all competitions. Milutin Sredojevic’s men beat AmaZulu 3-1 after extra time in the Telkom Knockout last week and that followed a 2-1 victory over Kaizer Chiefs in the Soweto derby. Players like Vincent Pule, Thembinkosi Lorch and Innocent Maela have been called up to the Bafana Bafana squad that will face Nigeria due to their impressive run of form. Xola Mlambo, who has been overlooked by the national team selectors, will have a point to prove. His performance against the Brazilians in the 2016 MTN8 final is well documented as his showboating skills were slammed by coach Pitso after the game, calling them disrespectful. Another source of intrigue is assistant coach Rulani Mokwena’s relationship with the Mamelodi Sundowns technical team which he worked with before making a switch to Mayfair. He’s got a record of one win and one defeat against Masandawana. If Pirates win this match, they can top the standings depending on how the other top of the table clash between Bloemfontein Celtic and Bidvest Wits pans out. Marshall Munetsi and Happy Jele’s centre-back combination is growing from strength to strength. Asavela Mbekile made his Pirates debut at right back the last time out and he did very well. Coach Micho has the luxury of being able to tinker with who starts between him and Abbubaker Mobara. I’m expecting this to a be a tightly-contested, high tempo game with both sides looking for nothing short of a victory. The form book suggests that the visitors have the upper hand at this point in time and I think that will also be a psychological factor. Sundowns will have to face Free State Stars ahead of this encounter while Pirates will have a day extra to rest. Back Both Teams to Score and Pirates to collect maximum points at 7/1.